1. It was decided on Sunday the Denver Broncos will meet the Seattle Seahawks in this year's Superbowl. So, when was the last time you bowled? Not where you thought this question was going is it? Do you like to bowl? Are you any good? I was excellent... at nearly breaking the score of 100! If I made a score over 100, I felt like the King Pin Champion!!! I can't bowl anymore with my bicep tendonitis. If I knew how to bowl left handed instead, I could do it... but I suspect I would throw the ball in someone else's lane. Why not.... there are a LOT worse role models out there. In my world, every sport star that was on Dancing with the Stars should DEFINITELY be a role model! :) Shawn Johnson... Kristi Yamaguchi... Jerry Rice... Emmett Smith! Shawn Johnson has taught me this dance move... role model material right here folks! I do like them... but I'm picky. Being weird about ingredients, I don't like the ones with tons of nasty stuff in it. Just give me plain oats. Panaera makes EXCELLENT steel cut oatmeal with strawberries or apples. But since I like the 'real stuff' it takes so long to make. Its usually a weekend only thing. I posted recently a list of books to read before the movies come out. I uploaded like half of them. The one I'm starting on today? I saw Ben Affleck is in the movie... so I'll have to see it. I heard so much about it anyways. So yeah, its been out for how long now? & its on my 2014 list? So I'm a little behind. 2. Pleated jeans... with high waists... How were these considered cool? They were though. I have evidence of wearing these as well. Send Harvey some good thoughts. 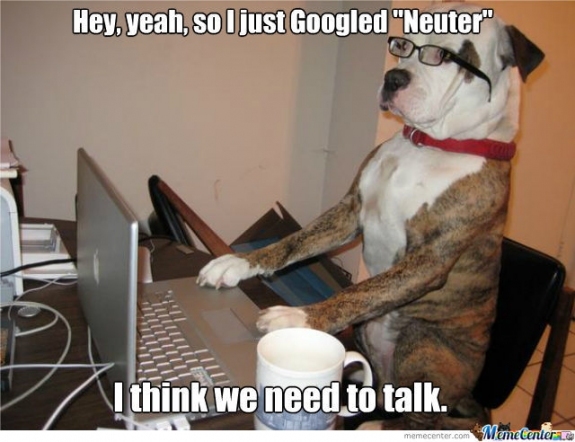 I'm taking him Friday to be neutered. I'm a nervous wreck about it too. I hear for boys, its so much easier. I know for my girls, it was awful - their bellies cut open & the stitches. I'll be edgy & nervous Friday... lock up all the chocolate. where in the world to you get your clips??? They crack me up! 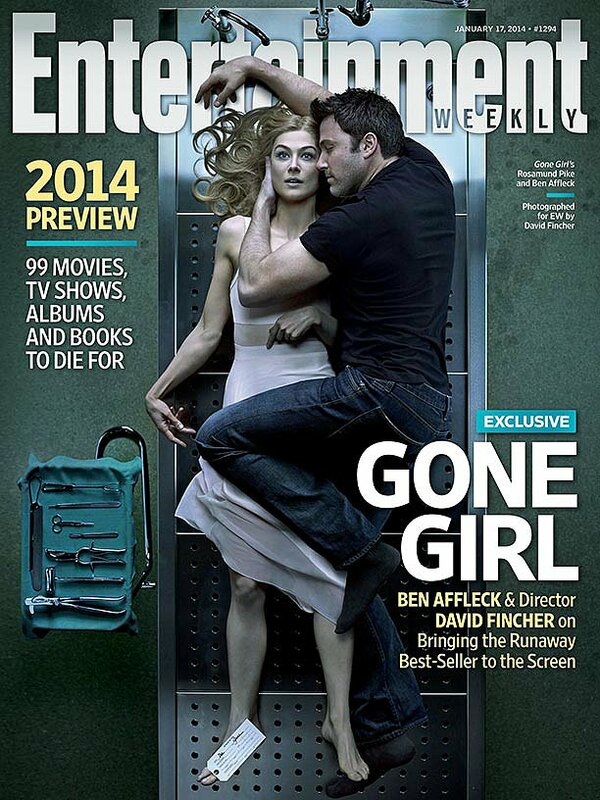 Just to make you feel better: I've never even heard of Gone Girl, so you're more up on things than I am! omg that high wasted jeans SNL skit is one of my favorites... and yes, can't believe those types of jeans are actually made. crazy. You could do the little kid bowling with the rack you aim. Gone Girl is on my reading list, too. I had no idea it has been turned into a movie. Happy Wednesday! Hope all goes smoothly with your doggy's procedure. Being on my bowling league for around 20 years I have many days where I'm happy I made it to 100! Stopping by from HP and got the biggest kick out of your clips, especially the high waisted jeans. Oh, my, forbid that they should ever come back!!!! Enjoyed the visit! I love Panera's steel cut oats! We always have breakfast at Panera when we travel. Yum! Ugh....I'm blind! I'm blind! I had totally managed to block pleated "mom" jeans from my memory till you shared that picture. And as a Pittsburgh Steeler's fan (If you cut me, do I not bleed black and gold) I have to point out that your DWTS list of athlete/role models is missing Hines Ward! Awww...poor Harvey! If it makes you feel any better, Gambit did okay. He took a couple of days to pee properly, but he got his mojo back. Okay, you're scaring me now. Our little Lucy is scheduled in February to go for her surgery. Our last 2 were done before we got them and I can't remember how it was with the one before that. Oh man, now I'm really dreading it. How in the world do you keep them from jumping all over the place? Hope all goes well with Harvey. i once had a john hughes party--i LOVE all those movies and will watch them at any given chance they're on tv.